This book is mostly about God, spiritualism and blessed sides of life, and will stay so, even if I change the contents of the book completely, which I am not planning right now, right now I am only editing and sometimes rewriting old poems and of course I have completely removed the illustrations permanently. So this book will bring a bunch of poems each year revolving around light and God. As you may know it started with my storybooks in 2017, I kept the titles of the books but changed their contents fully, excluding the title stories. I told that I will include the poetry books from next year, here they are from 2018 onwards the contents of the poetry books will change too, most probably every year. In case of poetry books there are no title poems so majority of the contents or all contents will change. Hope you will enjoy them! I really don’t have any intentions of adding more titles in Amazon, I have stuffed up too many already, but I am stuffed with works so I will just change the contents every year, of as many books as I can handle! The createspace books, the paperbacks will be deleted this year-2019, so from this year onwards only poems, illustrated books will be in shoptly only barring few illustration based books in Kindle. I personally coveted for it! no shame in admitting. even though I enjoyed indie publishing I always dreamt that someone will like my works enough to publish them and justfiction-edition did exactly that! They liked my stories Red Butterfly and Harmony and published them as a single book on 26th October 2018, “Red butterfly and harmony”, awesome huh? They give this book for free to journalists who promise a review I think, you can ask them about that! 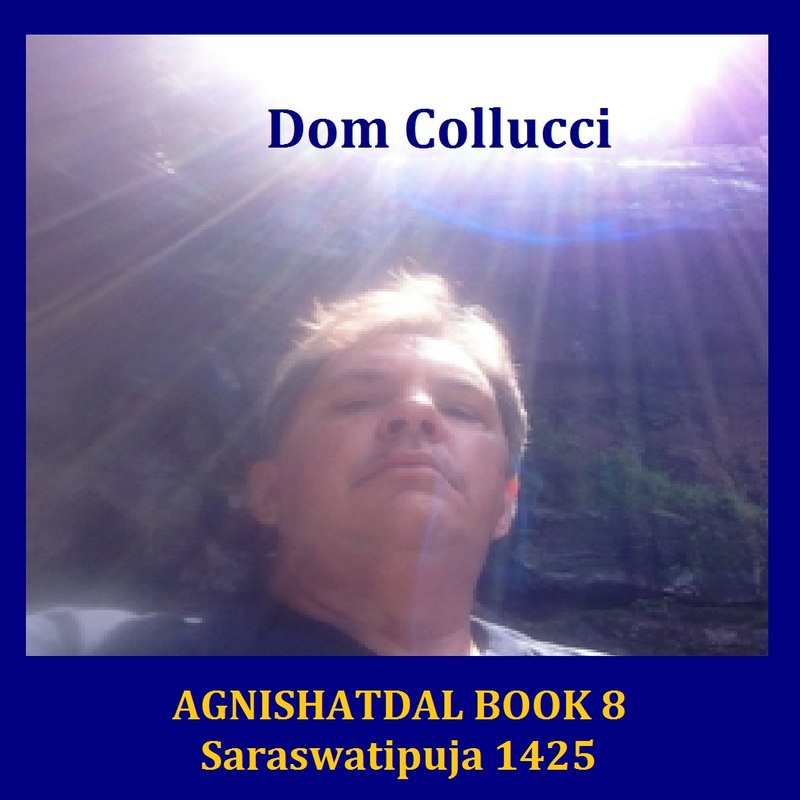 This quarterly is sharing some beautiful works of Dom Collucci, a cherished creator of Agnishatdal and much loved friend. He is a wise soul, his wisdom and love for nature reflects in many of his works, which I am sure you will love like we all do! You will get the details of his blogs and published book in the quarterly too. Agnishatdal you know is a monthly English Ezine created by a group of amazing people scattered all over the world, they create as per their whim so their creations are unpredictable and awesome! You will have to read the books to understand fully. You know that these works are copyrighted to Dom Collucci. His contact is at the end of the book. 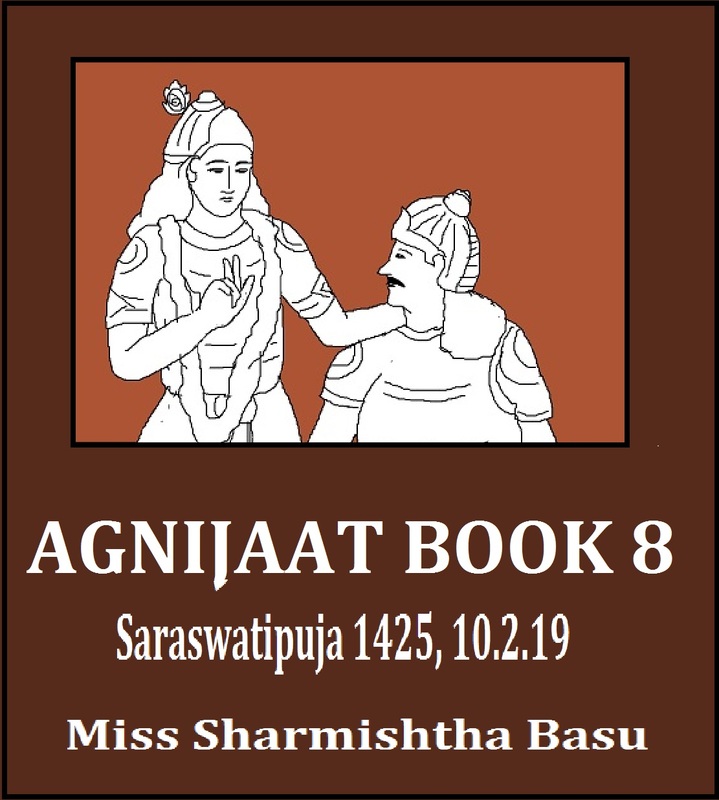 Agnijaat Book 8 contains shlokas (translated by Swami Ramsukhdas, their English translations done by me) from Shrimadbhagwat Gita. These shlokas or hymns are from Gita, the words of Gita were the sermons Lord Krishna gave his friend Arjuna before the war of Mahabharata. When Kaurava and Pandava- two sets of cousins were about to fight each other to death! Arjuna was one of the five Pandava brothers who after much harassment in the hands of wicked Kauravas led by Duryodhana their cousin decided to fight them and retrieve what was rightfully theirs from their unrighteous occupation. When the two armies gathered in the Kurukshetra battleground Arjuna was aghast, he refused to kill his own cousins and decided that he will give up his rightful kingdom and become a hermit. Krishna counseled him to fight the war that had to be fought to destroy corruption from world. Because nothing about Kaurava was just or righteous! Anyone who has read Mahabharata can vouch on that. These shlokas are not a counsel for war-craft, they are an amazing collection of how human beings should live! They are awesome believe me!